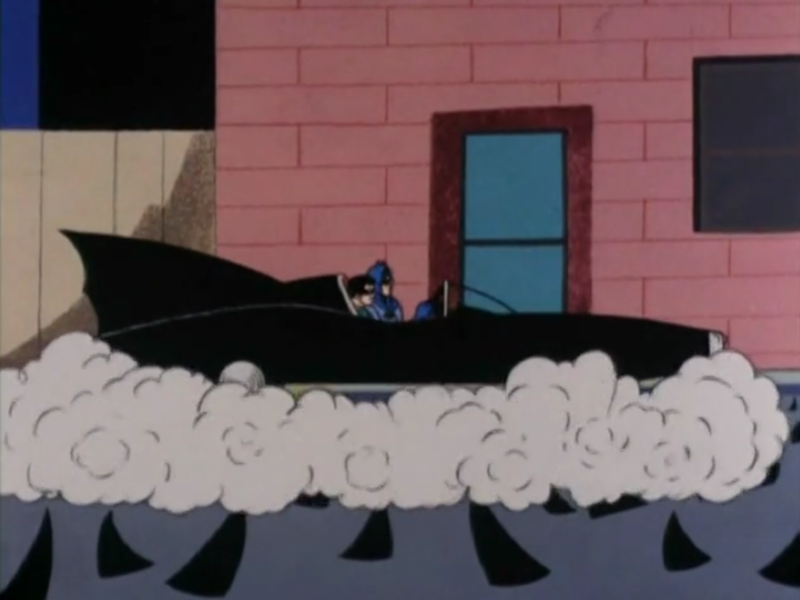 For the FILMATION BATMAN Index of features, click here. Still, as you well know, it wasn’t always all lovey-dovey between the Caped Crusader and the Feline Fatale. 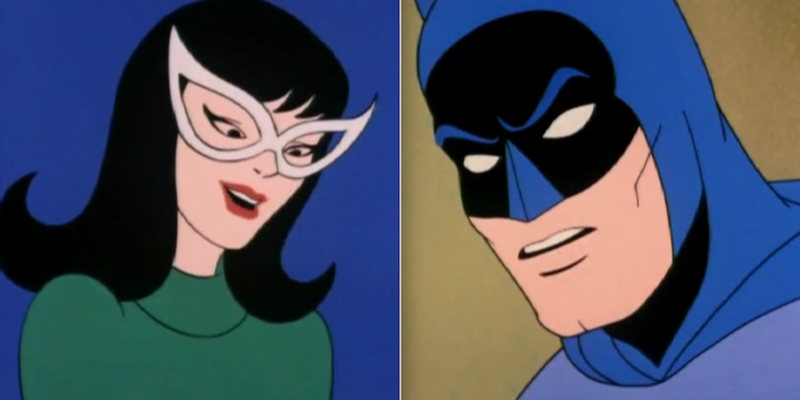 And I have a really fun, relatively obscure example for you to brush up on, just for kicks: From Catwoman With Love, which is not only one of the best episodes of the 1968 Filmation Batman cartoon series — it’s one of the best Batman/Catwoman stories of the ’60s, period. Now, the bride and groom have long had an up-and-down relationship, going all the way back to the beginning, when, in 1940’s Batman #1, our hero let the thieving “Cat” go because he fancied her — much to Robin’s chagrin. 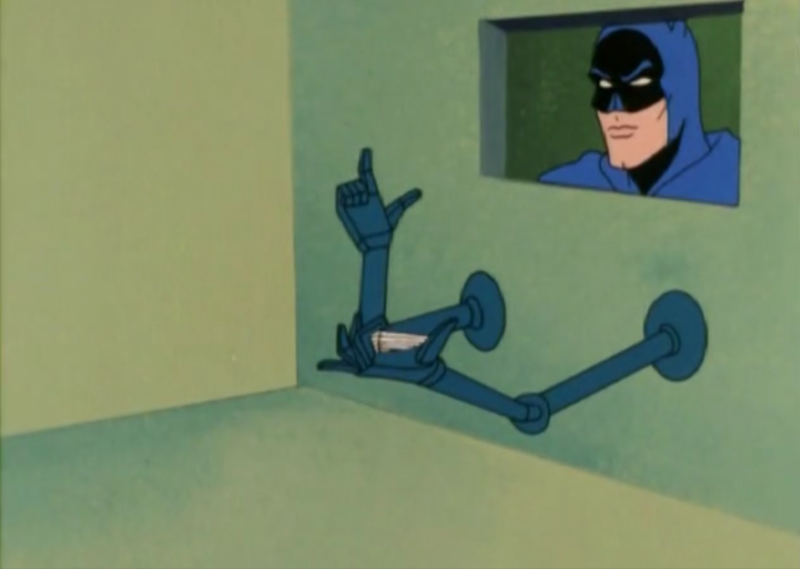 And in the ’60s, their interplay was defined by the sexually charged antics of Adam West and Julie Newmar. 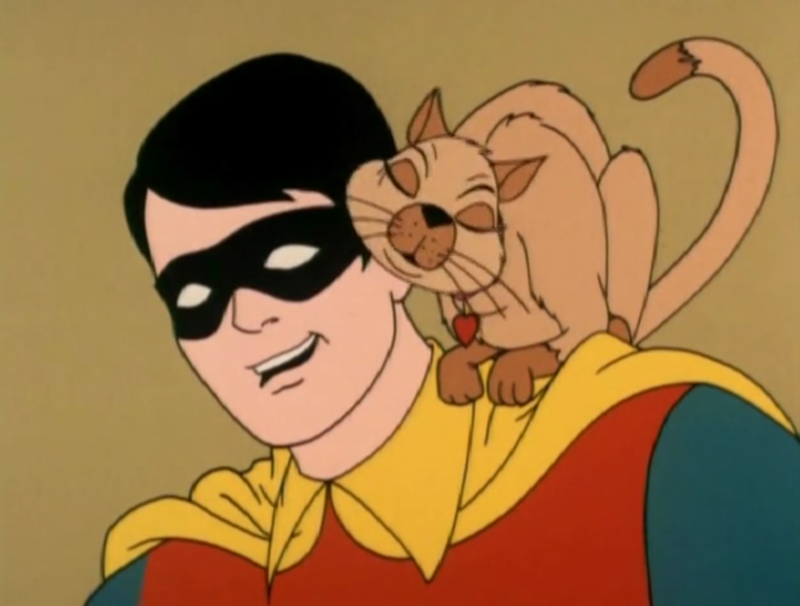 But Filmation gave such shenanigans a wide berth with its Batman/Catwoman episodes, which first ran on Saturday mornings. 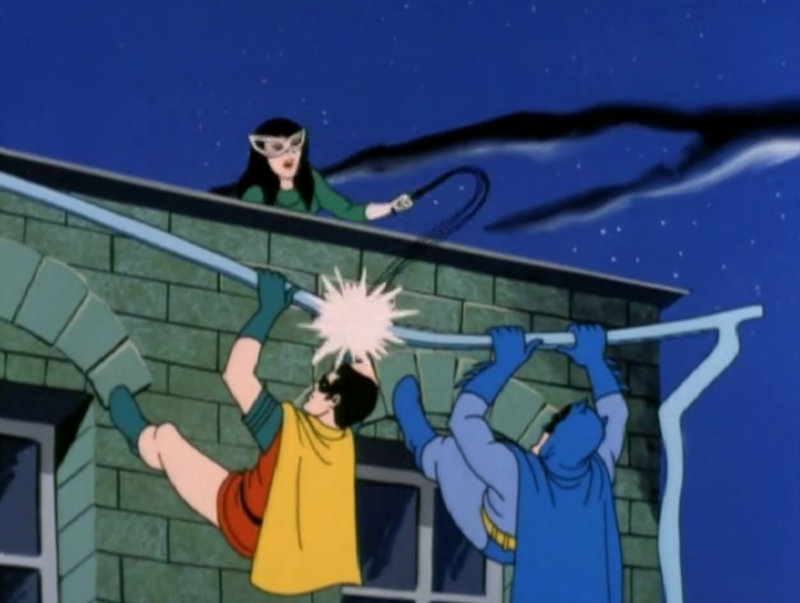 Perhaps not wanting to alarm network censors, their Catwoman was a full-on villain, even more ruthless than her male colleagues in crime, the Joker, Penguin and the Riddler. 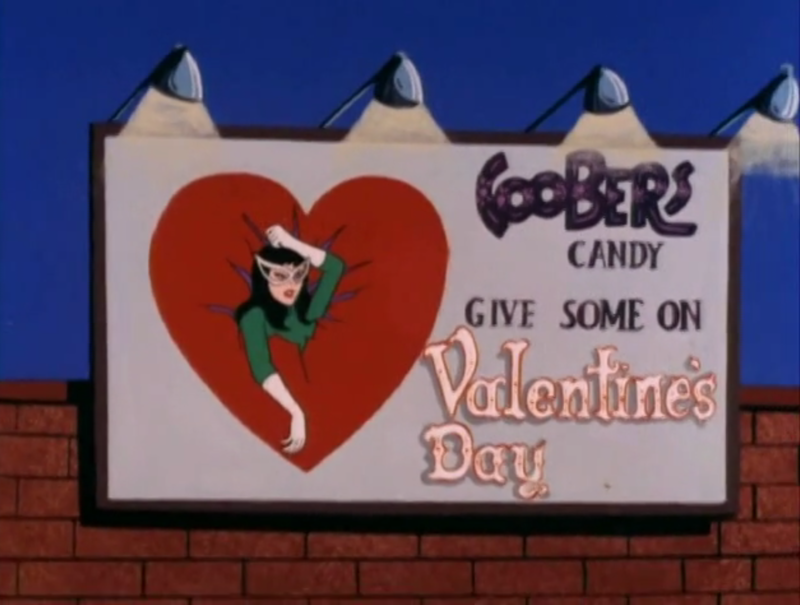 The episode — written by DC stalwart Bob Haney, who was well versed in wildly entertaining high concepts — opens with a colorful scene showing Batman disposing of booby-trapped Valentine’s Day “gifts” from the Joker, Penguin and Riddler. 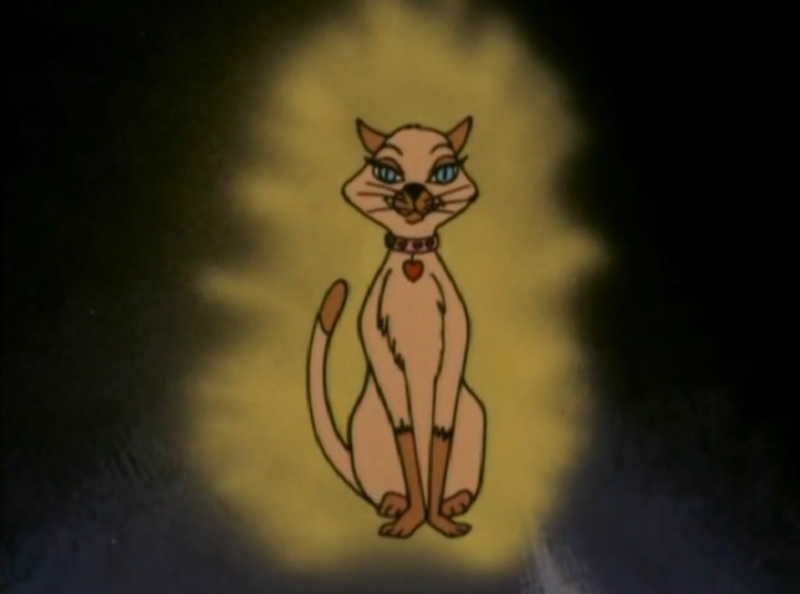 Batman’s skeptical, but they keep the cat — and sure enough, we find out in rather eerie fashion that Catwoman has irradiated Valentina so she can track the Dynamic Duo’s movements while she plans and purloins. This image used to frighten Young Dan. 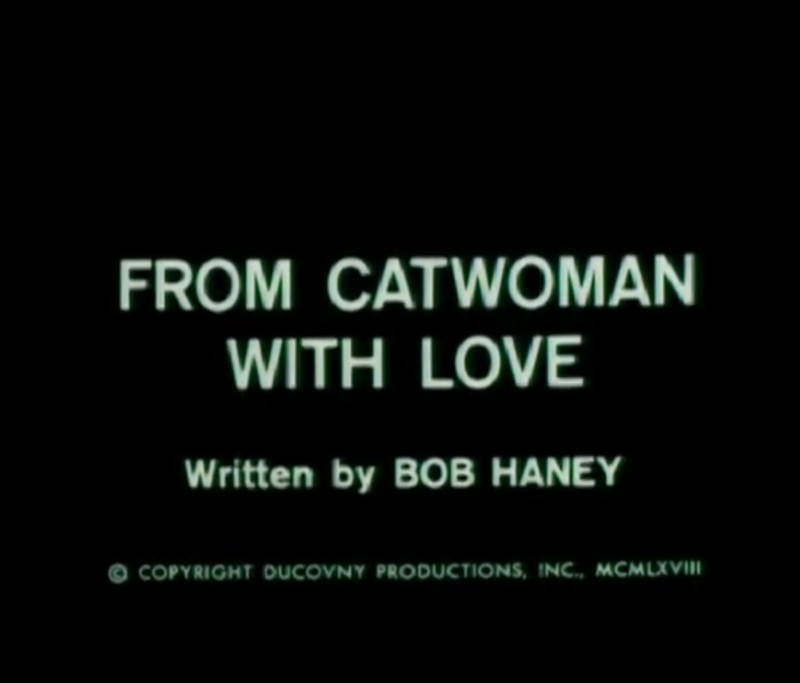 What follows is about 11 minutes of sharply plotted cat-and-mouse, featuring Batman, Robin, Batgirl, Valentina, Commissioner Gordon, Catwoman and her henchmen. There’s an exciting pursuit along a highway cloverleaf; a can-you-top-this war of wits featuring all sorts of funky Batmobile and Catmobile gadgets and weapons; fortunes that rise and fall on both sides; and a climactic rooftop battle in which Valentina proves to be the one who turns the tide once and for all. Great stuff — and an episode that would have made a terrific comic book, or even an episode of the live-action TV show. 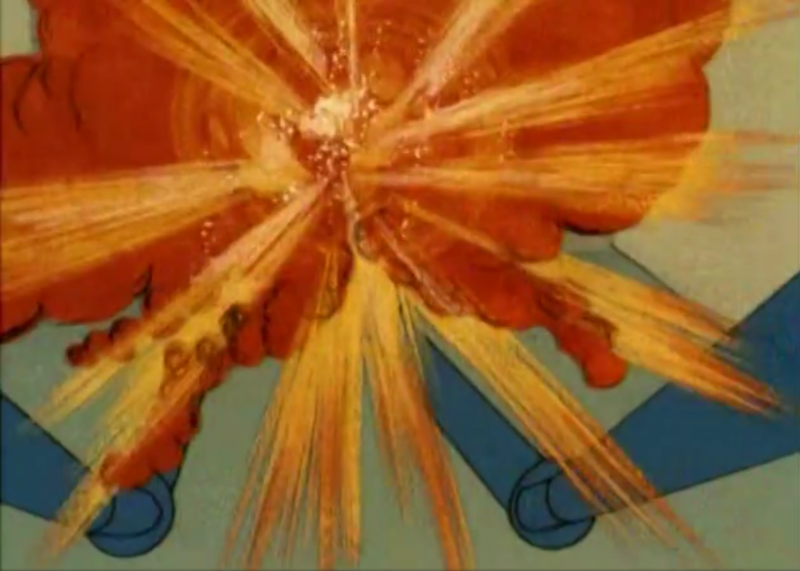 That’s the funny thing about Filmation’s superhero work, which has never had the staying power of, say, Super Friends in the popular imagination: We think of it as schlocky – and it was. 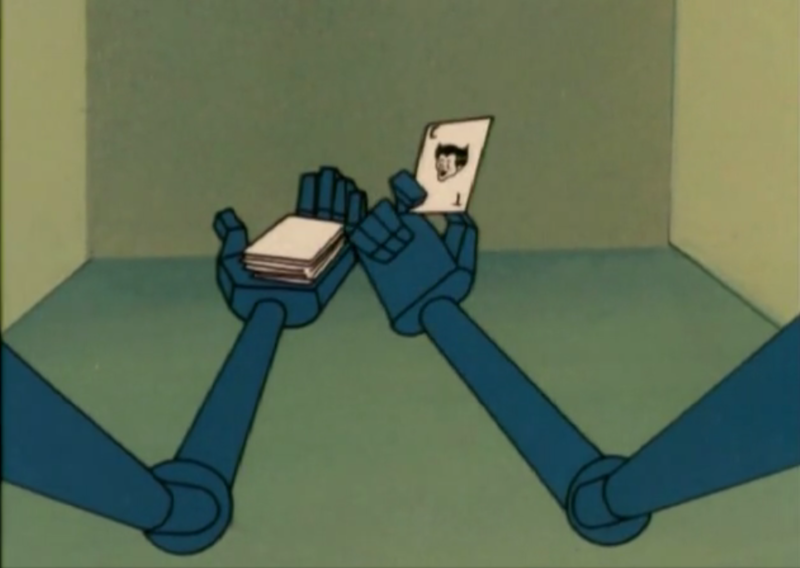 Because even if they were lovable and entertaining, the cartoons were done quickly and cheaply. Nevertheless, episodes like From Catwoman With Love — and Partners in Peril before it (click here) – show just how much talent was in the house. Because when the writers and artists were firing on all cylinders, they produced work that transcended the mundane limitations of time and budget. At the same time, there’s plenty to still be said for those times when they were energized adversaries. — The FILMATION BATMAN Index of features. Click here. I thought they already played on the same team – hence the “I do”s.